Well, if you read the title of this article you can probably guess we had a pretty BIG month for our blog. To say we are over-the-moon excited, thrilled, and grateful would be a complete understatement. It’s really hard to put into words what it is like to have a huge month like this. 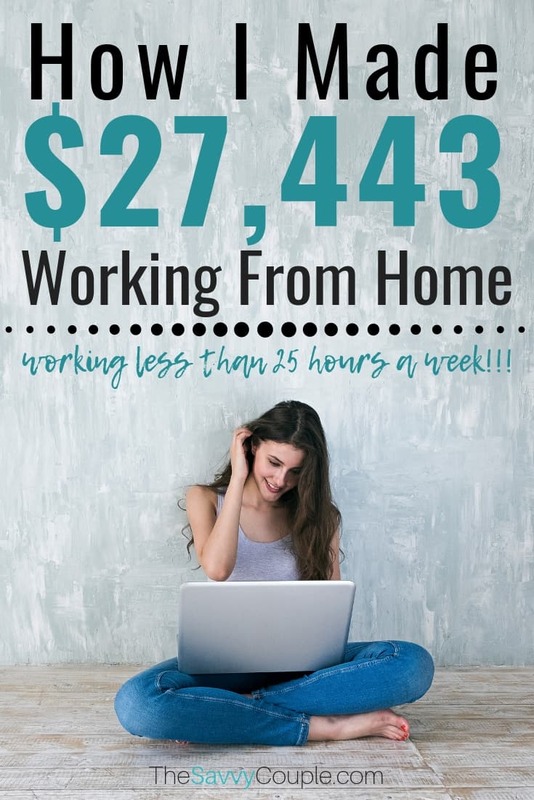 In this blogging income report, I am going to break down absolutely everything from income, expenses, taxes, what we focused on, our highest ROI tasks, how many hours we worked, and more! This might sound strange, but Brittany and I both feel “numb” about it. In a good way. Blogging is one hell of a journey and sometimes it is hard to even put the feelings into words. I’m going to be completely honest with you for a second. And it might sound a little weird. I envisioned this coming; I knew this would happen. I knew this was God’s plan when I quit my job to become a full-time blogger. I knew that if I put my faith in the Lord, He would continue to bless us in ways unimaginable. And here we are making over $27,000 in a single month from our blog. One that we started just two and a half years ago! I have never in my life felt so blessed, grateful, confident, humble, excited, hungry, and motivated. It’s crazy to think just two months ago I was super down on myself for us having a “slow” month, making $8,900 from our blog. Looking back that was so dumb. I learned a lot from going through that and having those doubts creep up again. The ONE thing I want everyone that reads this to do (if you have started a blog) is: TRUST THE PROCESS! You are not going to be an overnight success. It takes time and a lot of hard work…a lot of hard work. But if you truly BELIEVE it, you will ACHIEVE it. Yes, of course, it’s nice and it is going to provide us a ton of freedom in life. However, I am more excited about the IMPACT we can have on others through our blog. I said we feel “numb” about this because we know it’s not going to change us. We are always going to be The Savvy Couple. Very frugal and smart with our money. If you have been following us for a while you know our backstory. You know I was a Jail Deputy for almost three years and fell into a very dark depression. When I realized the dream I had my entire life of being in law enforcement was nothing like I envisioned I felt broken. The hours, stress, work environment wore on me quickly and I lost complete control of who I was and why I was even on this earth. It was the scariest time of my life. I was completely lost – feeling worthless – and I did not even want to be alive anymore. I had to wait patiently for Brittany to land a teaching job so I could quit and find myself again. Even though I completely turned my back to God and blamed him for everything, He stuck by my side and showed me the only way to true happiness is through Him. This month I had a huge realization. I knew God put me through this experience for a reason, but I never understood exactly why. God’s plan for me all along was to give me the ability to help others find their happiness in life. Our blog is just the tool or platform for us to use to help do this. My entire life all I have ever wanted to do is IMPACT people. Now that I know my calling and purpose once again….watch out! It’s always fun looking back on our journey and see just how far we have come. Our first year when we started our blog as a part-time side hustle we made ZERO money until our ninth month in. After we earned our first $50, I went to Brittany and told her that I wanted to quit my job and become a full-time blogger. Looking at the growth we have had and the freedom we have created starting our blog has been one of the most incredible and impactful decisions in our life. Here are a few of our previous blog income reports if you want to follow our journey a little closer. If we did not find others blogging income reports at the beginning of our own journey, chances are that we would have never started our blog. They opened our eyes to the dream of “making money online” and motivated us to create the life we wanted to live. If you are interested in starting your own blog, we put together a new and improved in-depth step-by-step tutorial that will teach you absolutely everything you need to know. To provide an overall summary of what we have accomplished and have been working on over the last few months. This month we did a pretty good job of diversifying our income. We landed a massive sponsorship that accounted for more than 60% of our income. But even if you take that out of the equation we are still well over the five-figure mark. 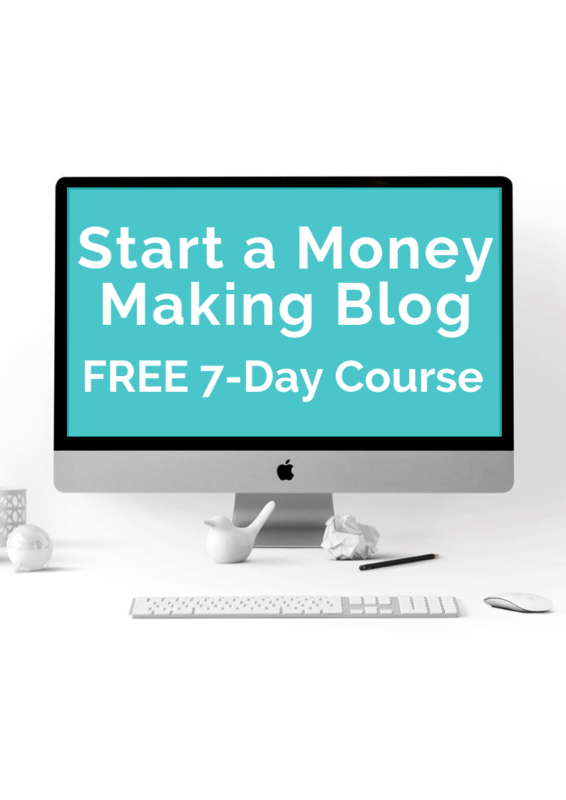 I mentioned at the top that we have been hard at work creating our first online course for bloggers. Getting this course created, beta-tested, and ready for launch has been our sole focus since the start of the year. So being able to still have our blog run on autopilot while we focus on course creation is incredible. Another awesome month for blog traffic! 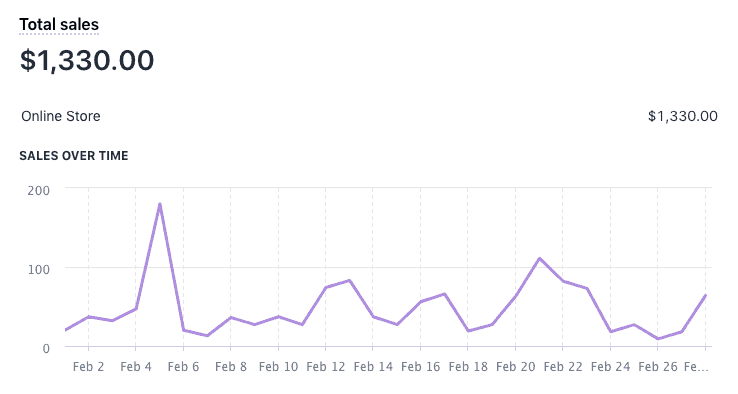 We had over 290,000 page views in February. 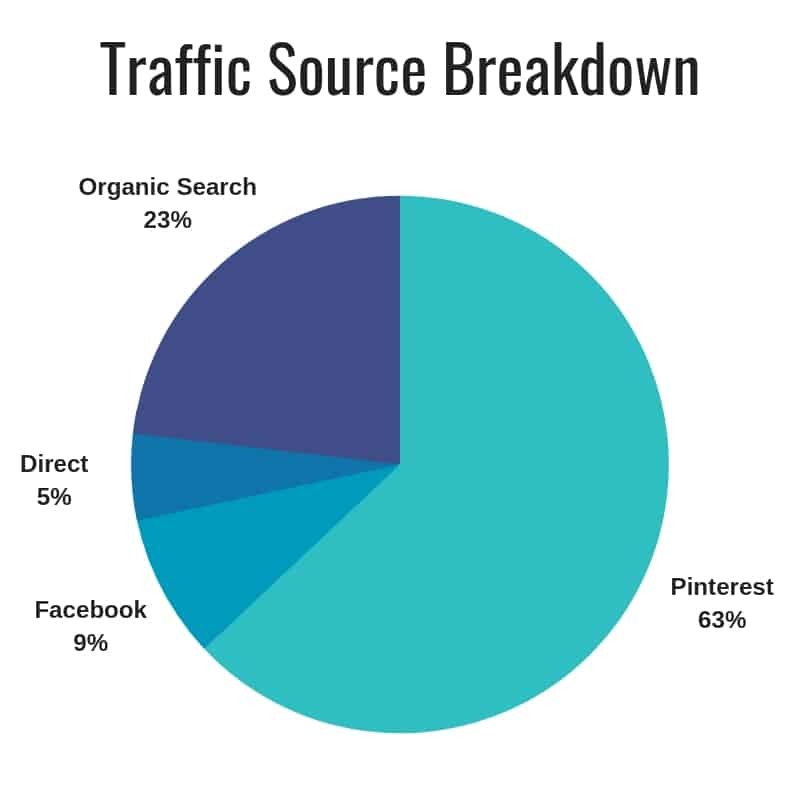 The good thing is more than 90% of that traffic is free organic traffic from Google and Pinterest. In fact, our SEO traffic has more than 10x since taking the course Stupid Simple SEO. And of course, we are still rocking an easy to use Pinterest strategy. It is always an amazing feeling to land a big sponsorship with a company you trust, that brings value to your readers, and that you have worked with before. I always get a little nervous that these sponsorships are “one and done” type of deals, but we have proven time and time again they are not. We had a great month with affiliate marketing. 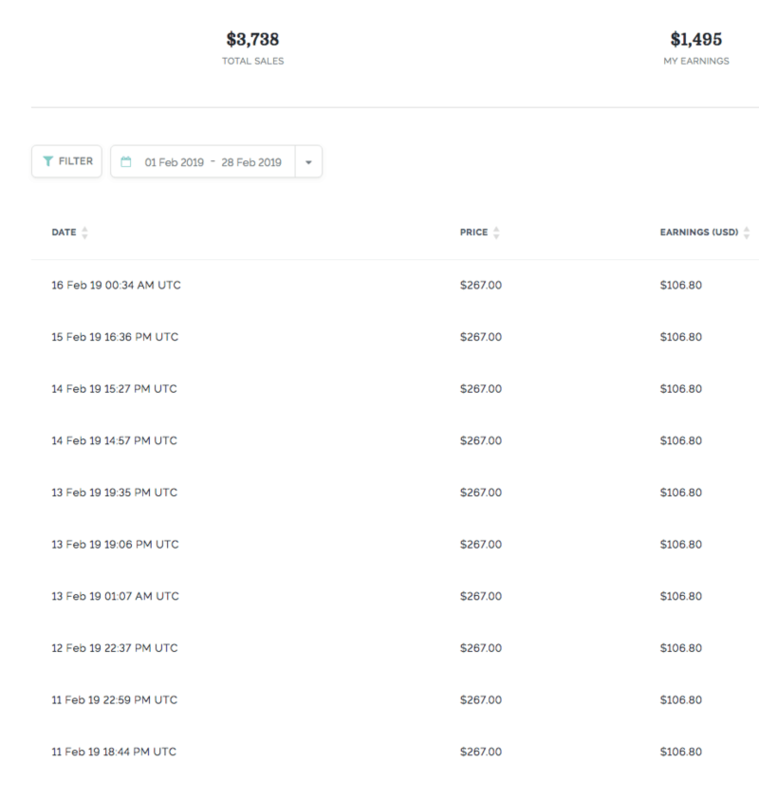 We earned over $5,000 and a majority of it was made through our email list using ConvertKit. Here are some “show me the money” screenshots for some proof of our earnings. Our income strategy/goal is to continue to grow our income from products and courses we create to be our #1 income stream from our blog. We want to be in complete control over our business and also be as diversified as possible as we continue to grow. 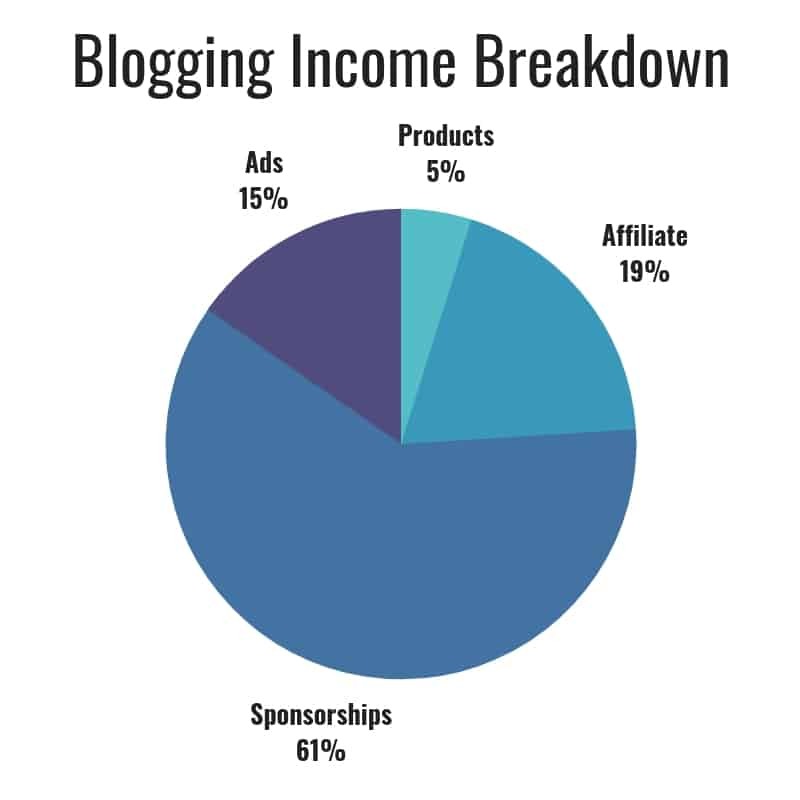 Here is an incredible blogging income case study by Brandon Gaille. Our blogging journey has aligned very closely to his findings in this study. 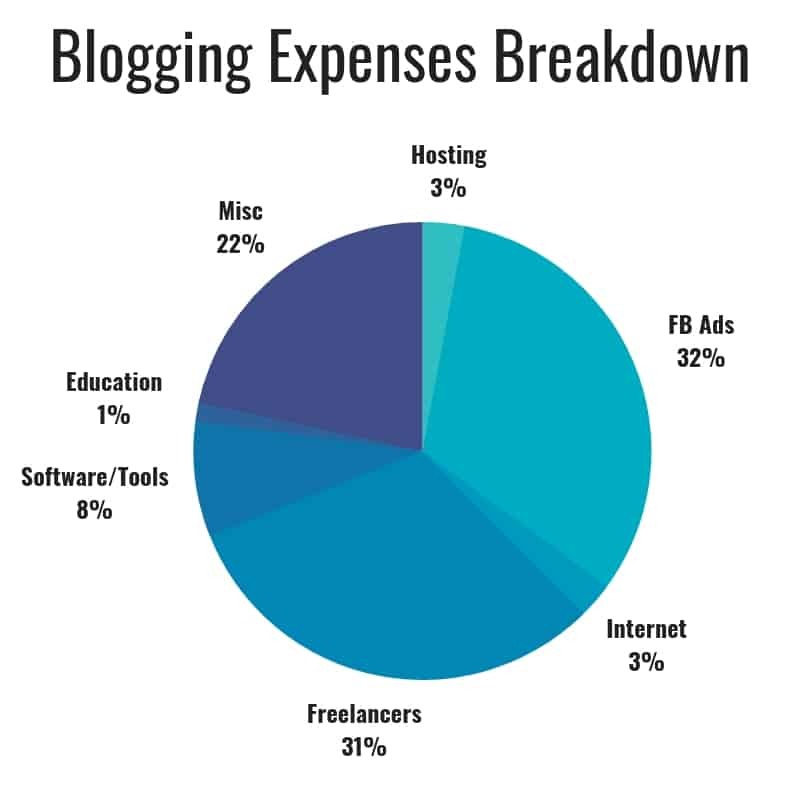 Our blogging expenses have grown quite a bit since starting our blog. When we first started all we paid for was $2.95/month for hosting from Bluehost. But like all businesses you need to invest money into them to continue to grow. 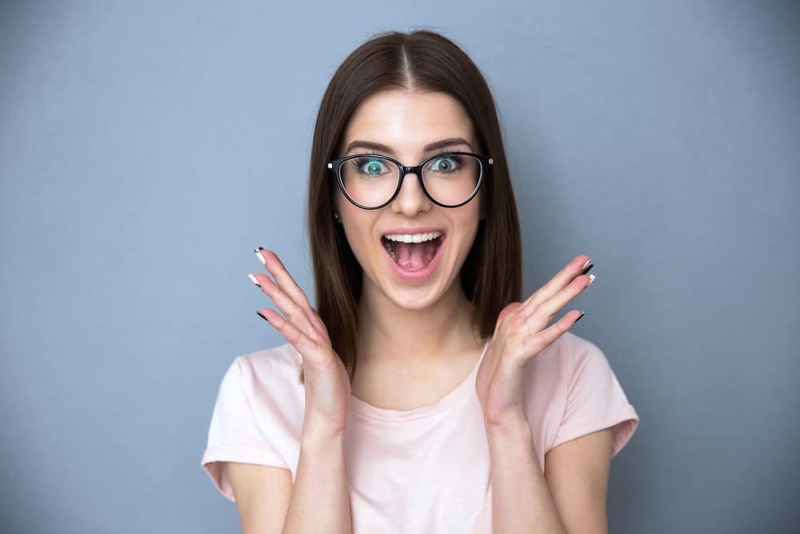 Our three big expenses this month were Facebook ads, Team Savvy freelancers, and Brittany’s ticket to FinCon 2019 (Financial Conference). Beyond excited to BOTH be finally making it to the biggest blogging conference around this year. My favorite expense every month is paying our Team Savvy freelancers. I love having the ability to help others earn money online and grow their own businesses in the process. Blogging is a very nice business to be in because the monthly expenses are extremely low, ranging anywhere from 10%-20% of your revenue. This leaves you with an outstanding 80%-90% profit margin. But of course, you have to plan on good old Uncle Sam taking another ~30% for taxes. We, like other self-employed business owners, hold approximately 30% for state and federal taxes and take out a livable salary. Quick side note about these figures. We use two methods of accounting for our business. To calculate our income as it is earned in real time. We feel it is important to always have a close pulse on the business and how it is performing “right now”. 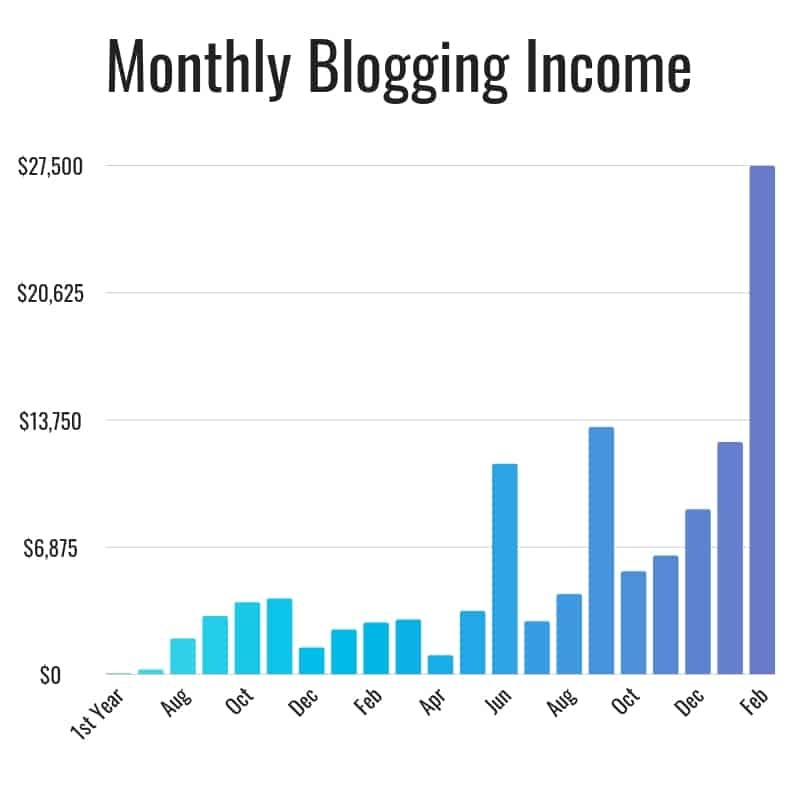 We use the Digital Monthly Blogging Income Tracker we created to do our tracking and make it as easy as possible. This method is tracking cash flow when it actually moves from one account to another. 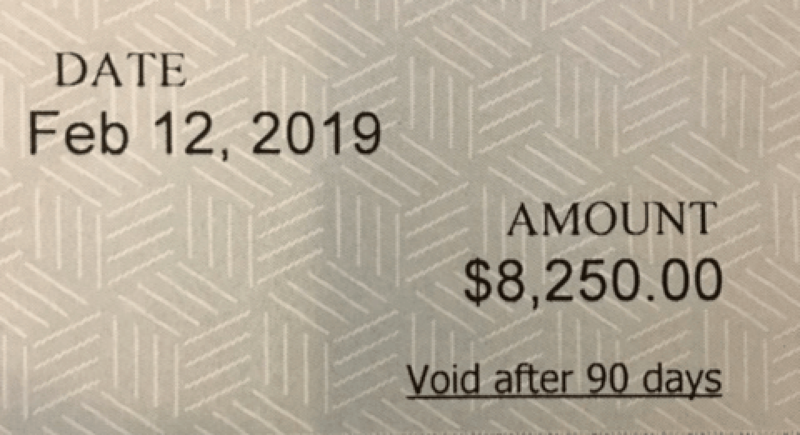 Most companies we get paid from have a “net 30, 60, or 90-day payout.” Meaning we earn the money and we won’t see it for another 1 to 3 months until it clears. The delay in payments is the reason I like having two methods of accounting that work hand in hand. To stay compliant and make tax season as easy as possible we use Quickbooks to track everything. Here are the big projects we are working on. We knew going into “creation mode” with our course would make our time more limited than ever before. So, we made sure to focus on our high ROI tasks. We talk a lot about this is our upcoming course ?. But I would highly recommend purchasing the book Work Less Make More and implementing the Eisenhower chart into your blogging business ASAP. Since I know landing sponsorships has the highest ROI on my time, like over $1,000 per hour, I focused on it. I finished taking the course Making Sense of Sponsored Posts and implemented what Michelle and Alexis teach. It worked out perfectly because within a couple of weeks we landed our biggest sponsorship yet. Being strategic with your blogging business is a MUST if you want to grow. Just like our blogging Facebook group’s name – Blogging With Purpose – everything you do with your blog should be done with a purpose. We all have super busy lives so making sure we are using our time efficiently and not wasting it is so important. I have become absolutely obsessed with protecting my time and making the most use of it. It is our most valuable asset we have in life. As a business owner, you have to be smart with it. Over the last year, I have been able to take my effective hourly rate from $20/hour to well over $100/hour. My average estimated hourly rate last year was $60/hour. That’s a 3X increase in my hourly earnings in just one year. What other jobs can you do that with? I would argue there isn’t one. 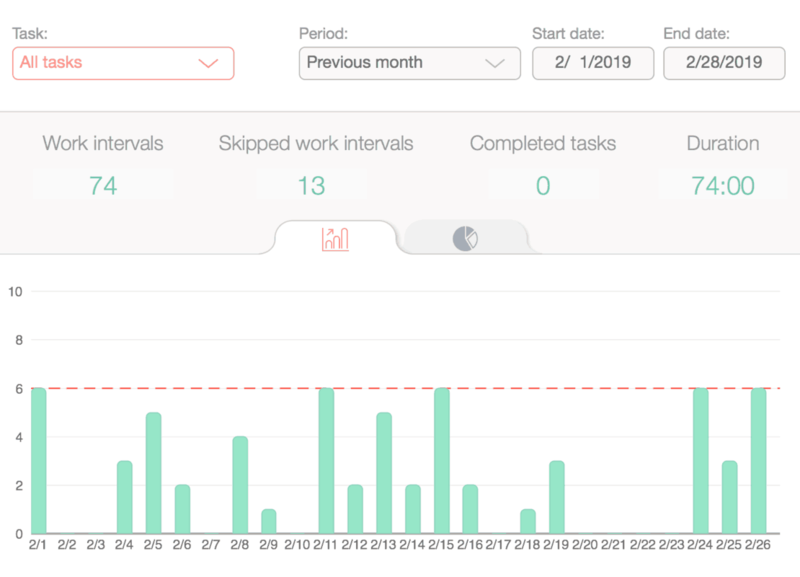 Here is what February looked like after tracking my time with an app called Be Focused. 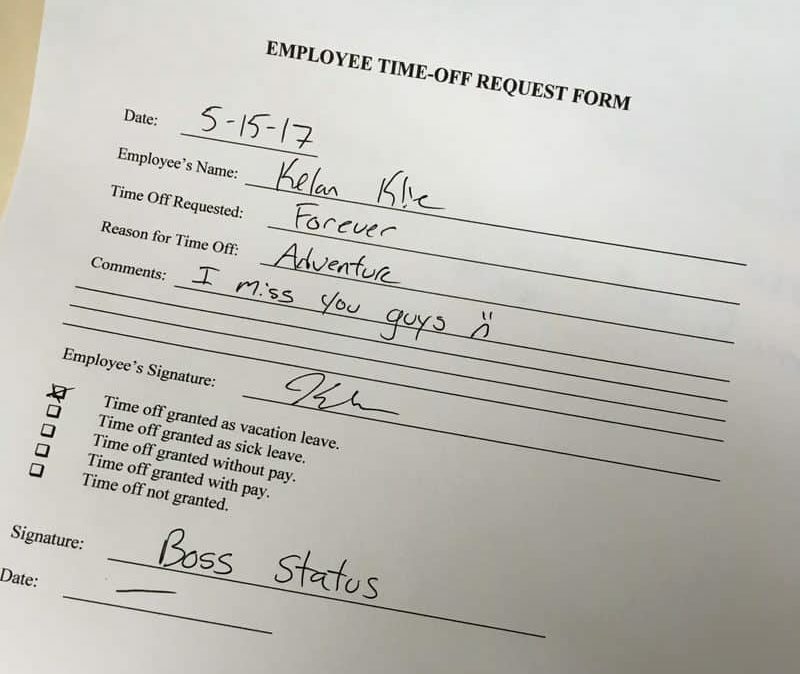 I only worked for about 75 hours. That means I was making over to $370/hour! If you are not tracking the hours you work and what you are spending your time on every month, you need to be. 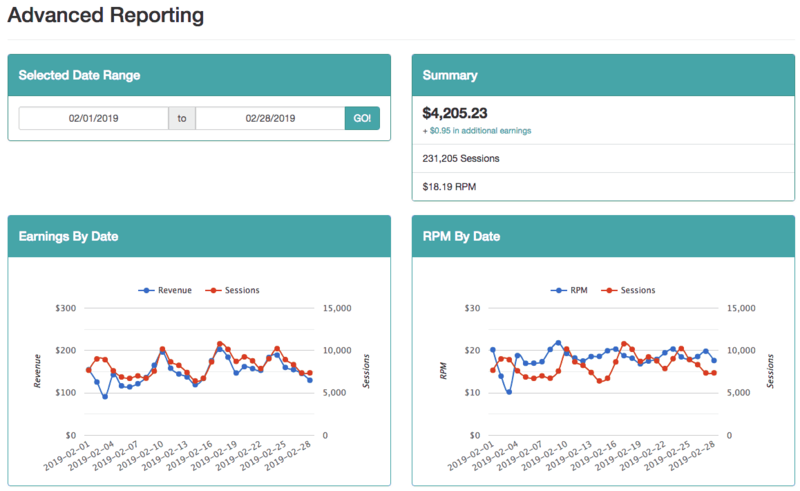 When it comes down to it, our effective hourly rate (EHR) is the only metric that really matters as business owners. Increasing your EHR is what will unlock the freedom and power you want in life. I never in my wildest dreams thought we would have this much freedom in life and accomplish it by starting a blog. I mean I have dyslexia, terrible ADD, hate writing, and have very limited time being a stay-at-home dad. Luckily, Brittany has always been super supportive and willing to help on the blog as much as her time allows being a full-time teacher. I have no doubt this is going to be our “breakout” year with our blog. I can just sense everything coming together and I know we are just getting started. So, if you already have a blog or thinking about starting one this year, let’s do this! We are SO passionate about helping you make your dreams come true. This is the year YOU are going to take complete control over your life and make it everything you want it to be. P.S. – Don’t forget to enter for your chance to win a FREE scholarship into our brand new course Bloggers’ Secrets. Awesome, and congrats to you both! And, I swear by the Eisenhower chart. It really puts things into perspective when you’re trying to figure things out. As a baby blogger following your journey, it has been very inspirational. Keep up the good work! My little personal finance blog is around 10k pageviews a month, but looking forward to growing that traffic and helping more people in the process. Thanks for the support Andrew! Keep putting in the hard work and you will have great success. Let us know if there is anything we can do to help. Hope you applied for our scholarship! KILLIN IT! All I can say. Nice work! Kelan, I was just talking to my accountability partner today about feeling defeated in the blogging world after reading a blog post this morning that basically said starting a blog after 2017 is basically a mistake and you’ll never make a decent income. I am not sure if you started in 2016 or 2017 but seeing the very small amount you made in year 1 gives me hope that I can do this and actually make an income. Hey Sara. We literally made like $50 our entire first year. That first year is brutal and the main reason so many bloggers fail and give up. Just keep chugging away and learning every day. Your work is compounding on its self whether you can see it or not. You got this! P.S. – We started our blog in July 2016. You’re so right about people giving up blogging within that first year! Today would mark 2 years of my first blog (RIP). 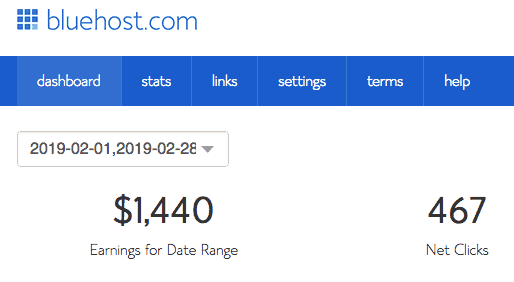 In the first year, I wrote less than 10 blog posts. I was all over the place. I started a new blog last August, but didn’t really work on it until February of this year! Starting over was just as hard except now I know a few more vocabularies such as SEO, affiliate marketing, etc lol. It has been one frustrating experience. Nothing seems to work right and my time is limited. But I am going to visualize it. Visualize making my first $1000 December of 2019! I wish I just kept working, but the important part is not giving up. Exactly! If you never give up and keep improving every day there is no other outcome than success. YOU CAN DO THIS KELLY! Thank you so much for sharing all of this great information! I launched my blog in October 2017 and since then have made a couple thousand dollars. I haven’t been able to earn consistently yet because I work full time in IT and am a mom of two boys under two so trying to find balance! This is exactly the article I needed to get motivated again to make things happen on my blog. I actually prayed for my blog to fail if God did not want me to pursue blogging. I think I have not “hit it big” yet because God wanted to make sure I was finding healthy balance in my marriage and becoming a mother. Looking forward to following you guys and getting more inspiration! Congratulations to you both. Knowing you guys and joining your Facebook group has totally changed my life. I went from a struggling blogger to someone who earns a full-time income in just a few short months. Sharing your blogging journey like you do really is so huge, not only for me but for every blogger out there who may be putting in the effort but not seeing the results yet. It’s the motivation they need to keep pushing beyond their limitations. God bless you. You rock Virginia! I still remember the day you joined our group. So happy to be a part of your life. Thank you for your kind words! It’s nice to see that you put things in God’s hands and now you see the rewards. Haven’t been here before, but I’m glad for you guys! It motivates me a lot to follow the same dream. So happy for you and Brittany, Kelan! These income reports are tremendously motivating for us new bloggers, and congrats on seeing the fruits of the hard work you’ve both put in. Can’t wait to see where your journey takes you.